I have about 15 of these. 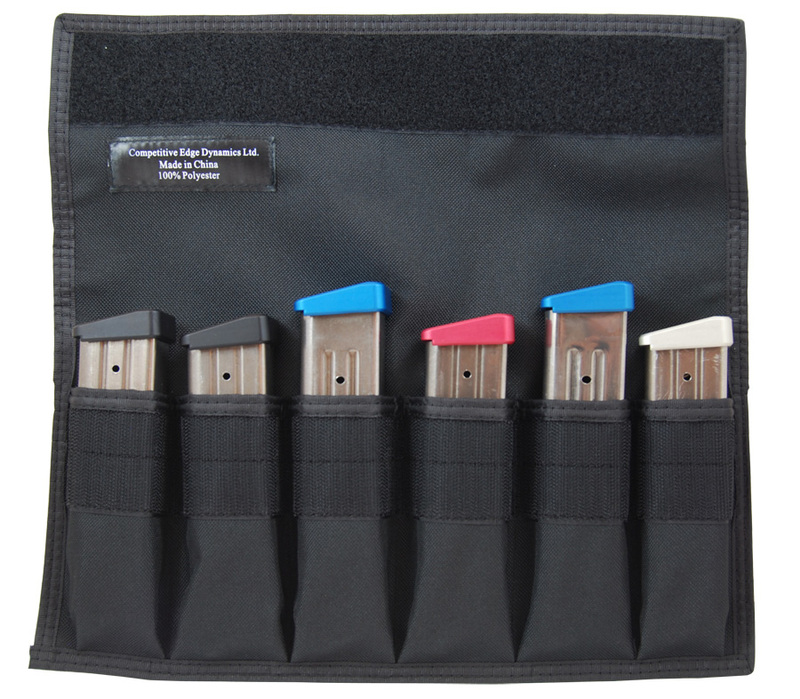 They are great for storing spare mags and keeping them organized. Great for separating mags according to size and competition type. i have one of these pouches for every gun i own. perfect for range time and storage. no one can match these prices either !!!! Just received my 6 mag storage pouch. Fits my Ruger Mark III 22/45 mags perfectly. Great for shooting steel challenge matches. Fast shipping, ordered it on Sunday and received it on Tuesday! Thanks for making a great product. love these. bought one for every pistol. perfect way to bring loaded mags to the range. i also labeled each one so it's easy to grab the ones i need by using my white sight paint pen . nice price too compared to other sites !!! There is a reason I keep on coming back. The products are great and the service is too! These are perfect! Just the right size. Great quality and a great price. Great magazine pouches for the money. I have about a dozen for all of my pistols. Great product. Perfect for the range where you want to shoot and not stand around loading magazines. I carry 7 of these with 6 magazines each to the range when shooting 1911's. I can go through almost 350 rounds (336 actually) without needing to reload. I have similar set-ups for outer semi-auto pistols (but fewer mags). Durable, well made and affordable. Very glad I found these. Organize your magazines in one of our specially designed storage pouches that will keep them separate, protected, and ready to use. Made of durable long lasting 600D polyester (double layered) with moisture backing, the CED Magazine Storage Pouches come in two sizes at one special price! Your Choice! Q: I have 170mm double stack magazines and standard-length 140mm double stack magazines. Which length pouch should I select the standard or long? A: If you are looking for one pouch that will hold both length magazines you should select the "extended" version. 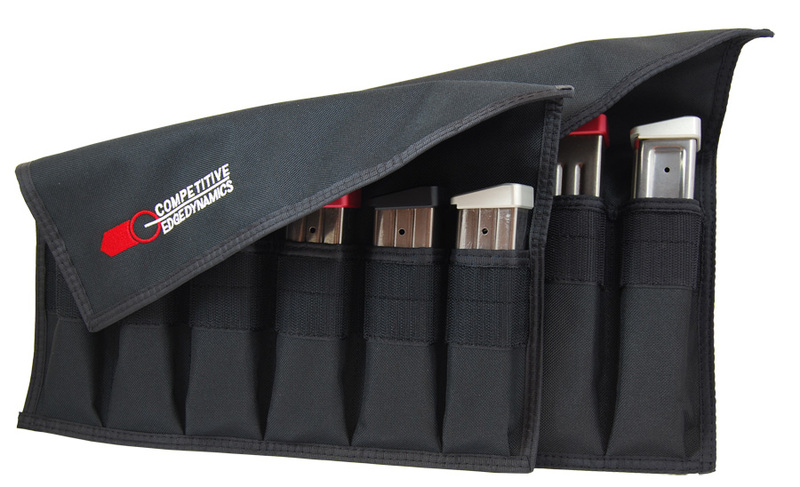 This will allow you to store both long and standard-length double stack magazines. If you are only using standard length mags, then select the standard size.